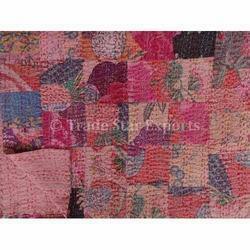 We offer a remarkable range of Vintage Kantha Quilt that is designed using fine quality fabric. These products are assured for their quality. 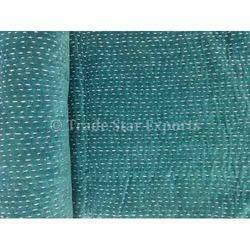 Moreover, these products are assured for their competitive price. 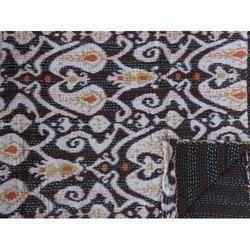 - A Vibrant Black Color Ikat Print Pure Cotton Kantha Quilt. 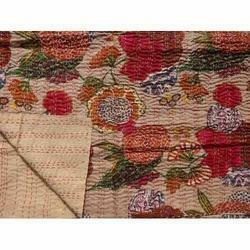 - A Beautiful Block Printed, Patch work, Hand Kantha Work Quilt / Bedspread. 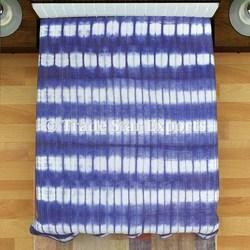 - One Side had Patch work of Block Printed fabric and Other side is Plain Back. 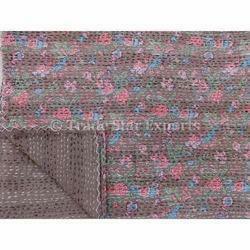 - Kantha Work on Both sides. 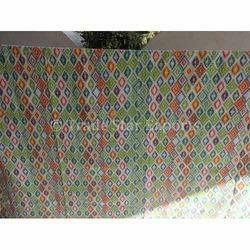 A Vibrant Multi Color Ikat Print Pure Cotton Kantha quilt. An Piece of Art including Ikat Print & Hand Kantha Work. 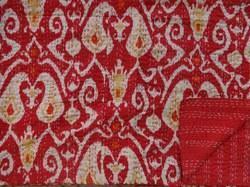 A Vibrant Red Color Ikat Print Pure Cotton Kantha Quilt. 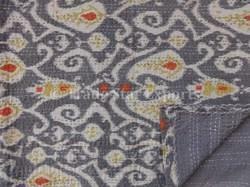 A Vibrant Ikat Print Pure Cotton Kantha Quilt. 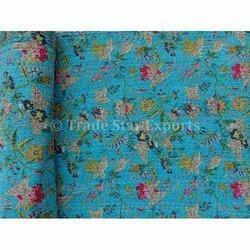 A Vibrant Multicolor Tropical Print Pure Cotton Kantha Quilt. 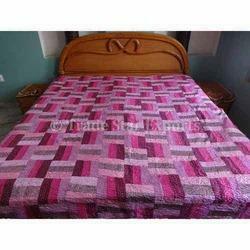 Twin Size Reversible Quilt with Hand stiched Kantha Work. 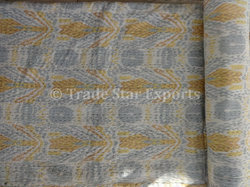 - Stone Washed Brick Pattern Patchwork with Hand Kantha Work Bed Quilt. Size: 90 X 108 Inches. 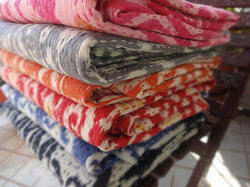 - A Lot Of 10 Vibrant Ikat Print Pure Cotton Kantha Quilts. 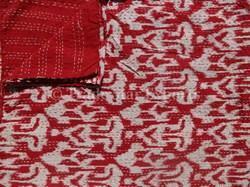 - An Piece of Art including Ikat Print & Hand Kantha Work. 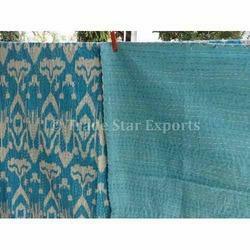 - Set of 10 Handmade Twin Size Ikat Kantha Quilt. Size: 230 X 270 Cms. 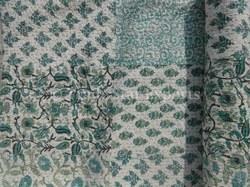 - A Royal Velvet Handmade Kantha Quilt. 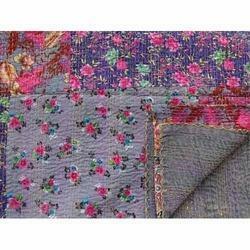 - Reversible Quilt with Handstiched Kantha Work. 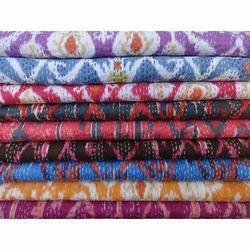 A Lot Of 10 Vibrant Ikat Print Pure Cotton Kantha Quilts. 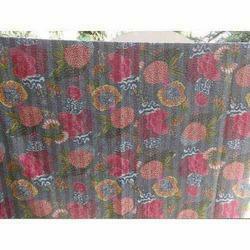 Set of 10 Handmade Queen Size Ikat Kantha Quilt. 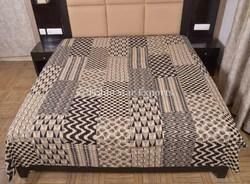 A Vibrant Black Color Ikat Print Pure Cotton Kantha quilt. 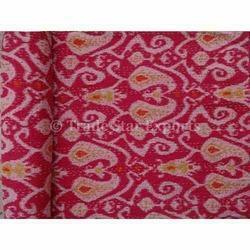 A Vibrant Pink Color Ikat Print Pure Cotton Kantha quilt. 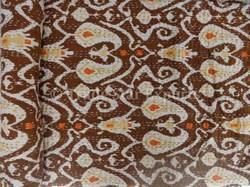 - A Vibrant Multicolor Ikat Print Pure Cotton Kantha quilt. 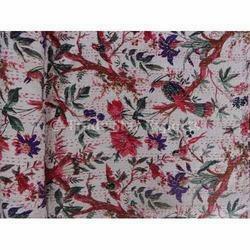 A Vibrant Multicolor Floral Print Pure Cotton Kantha Quilt. 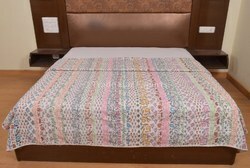 Reversible Quilt with Handstiched Kantha Work. 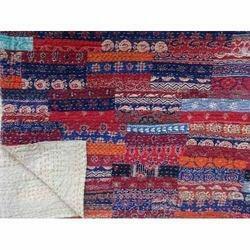 A Beautiful Block Printed, Patch work, Hand Kantha Work Quilt /Bedspread. One Side had Patch work of Block Printed fabric and Other side is Plain Back. 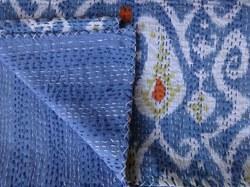 Kantha Work on Both sides. 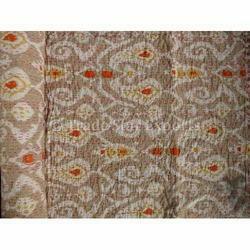 A Vibrant Paisley White Color Floral Print Pure Cotton Kantha Quilt. 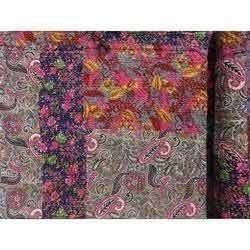 Twin Size Reversible Quilt with Handstiched Kantha Work. 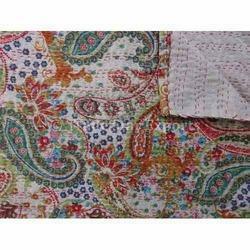 A Beautiful Block Printed, Patch work, Hand Kantha Work Quilt / Bedspread. May Comes in Assorted Prints with Same Pattern. Size: 270 X 230 Cms.